Reflective essays are essays that explain an event, an experience and then subsequently probe the interpretation of that experience and the information or morals that can be gleaned from it. In this type of essay, a writer analyzes an event from the past or present. These essays require full involvement and opening of the writer concerned. He or she should include their thoughts and sentiments so as to paint a clear picture of their personality, traits, and history. The writer includes a summarized version of their experience so that the readers may also feel as if they have lived said experience as well. You could write about a place that is special to you, say a hideaway or even a room. You can even write about the house that you grew up in or even a relative’s house that holds special meaning and fondness for you. You can write about significant thoughts or recurring ones such as dreams or daydreams and even a poignant emotion. Well the first thing that you need to do is to write an introductory paragraph. This paragraph should describe the subject or object that you are going to be writing about. The reader should be able to glean the impression that the subject or object left on you, the writer. This paragraph serves as the focal point for your whole essay. Here, in the first paragraph, write about the rationale, the justification for having chosen the topic upon which you are writing. This provides the significance and level of impact that this topic left on you. You can indulge in speculation here because it’s a reflective essay after all. In this second paragraph, write about the second reason for which the subject in question made such a long lasting impression on your person. Now in the third paragraph you should write about any additional compelling reason for writing about this specific topic. This really lends a level of intrigue and fascination to the subject matter. Now comes the phase where you have to end your essay, but do so in a spectacular and interesting way. 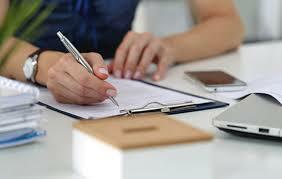 To do so, you need to review your essay and the reasons that you provided in it. Summarize your essay with any final thoughts that you might have and conclude with some final potent and reflective thoughts.